The Fig Rig Stabilizer from Manfrotto is non-traditional in design, yet simple and effective. It's a modular system that smoothly supports the DV camera and acts as a frame to mount all the accessories. Box Dimensions (LxWxH) 20.2 x 19.5 x 3.0"
595B Fig Rig Camera Stabilizer is rated 4.4 out of 5 by 38. Rated 4 out of 5 by judex from Very Usefull The fig rig is a great product. It has improved my handheld shooting quite a bit. I originally purchased it for tracking shots, but have found where it really excels is in hand-held pans and such like. Getting steady shots while walking does take some practice. It certainly is no steady cam, but by employing the camera stabilizer in my Sony HDR FX1 I have had fairly good success in creating smooth tracking shots. My only complaints are: it draws a whole lot of attention to itself and the ability to operate camera controls while using the fig rig is nigh on to impossible without purchasing add ons. Still, all in all, I am very happy with it. Rated 5 out of 5 by Duane from Creative and Flexable Uses I use this to shoot fashion and glamour and it is perfect. Its easy to set up and lets me get lots of low and high angles and dutch angles. I often set it on the ground or on a table or chair for a more stable shot. It is not meant to replace a Stedicam. If you need that type of shot then buy something else. If you want better hand held shots and a great creative tool this is perfect. You will need a remote camera controller as well to zoom/focus. And when someone asks what you are doing with a steering wheel just say it keeps anyone from stealing your car. Rated 5 out of 5 by Dan the Man from Smooth and Lovely This is a vast improvement over hand held and much lighter than any prototype one could easily build. I used this to shoot a mock hunting show and it performed great even while running down stairs. The only drawback is the gawking you receive from unknowing observers. Nice Steering Wheel becomes the new hello. I'm tempted to print up a t-shirt that explains what this is on the back so I wont have to say it 20 times every shoot. If you like smooth shots that offer a lot of control you'll like it. If you enjoy being an odd duck, you'll love it. Rated 4 out of 5 by Jeff A Ward from Really Solid Rig The biggest issue I hear from people who have bought this is that, it's a horrible steadycam. And they're right, it is. But it's not supposed to be a steadycam. The Fig Rig is a stabilizer. It pulls your hands farther away from the camera to allow more fluid movement of the camera without as much hand shake. 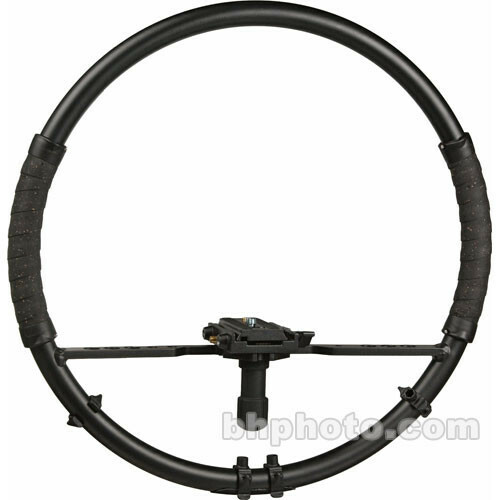 The Fig Rig is shaped like a steering wheel, and just like a bus steering wheel uses the same concept. Moving the steering wheel in big huge turns, moves the wheels only a little bit. Just like on the Fig Rig, moving the camera takes more arm movement to move it only slighty.No one should buy this product thinking they can run around and not have it be bumpy. There's no gimble or shock system built in here, it literally is a steering wheel. But if you use it with that in mind it really is a great product. Aso with the ammount of add-ons you can attach with Manfrotto's clip, it really becomes a compact, all in one rig. THe biggest downside to this is the price. At about $ shipped, it's a little pricey, and should only be bought if you're going to be using it often. I use my Fig Rig with my Canon 7D. And after popping on a lens with Image Stabilization (IS) built in, it really looks smooth on wide-angle shots. This rig will also get your arms nice and buff after holding the camera so far out in front of your body. Plan your shots accordingly, because arm fatigue sets in quick if you're not used to the balance. I can't add anymore cons below because if you use the product the way it was intended, you won't have any problems. Rated 1 out of 5 by David from Get ready to be laughed at! I used this product on 3 shoots before getting rid of it and buying my glidecam. It really doesn't provide any more stable a shot than handheld use. If you use it anywhere in public, get ready to hear look, a steering wheel and other similar remarks ALOT! Very bad at weddings when blending in and not standing out are important. Both times I used this at weddings during dance shooting, the DJs would say over the loud mic - look, a camera on a steering wheel... Besides, it just doesn't stabilize your shot and is very large! If you simply know how to handle your camera, you can get just as stable of shots if not better. If you want a stable running shot, buy a real stabilizer, don't waste your money on this! Worst piece of equipment I've ever spent money on. Rated 5 out of 5 by Jason K from Very satisfied! I bought this product after discovering that it was used for the film REC. I wanted to try it out for the 15 allotted days, knowing I could return it if I wasn't impressed. I was very impressed and felt no need to return it. I highly recommend it, along with the optional attachable zoom remote. Combined with the stabilization feature common on most prosumer cameras, you'll get the stable shots you've dreamed of. Rated 2 out of 5 by Techman from Not as great as the hipe Yes, it is light weight but this rig is too wide and awkward to use. You have to have both hands on the rig so you are screwed if you have to make an adjustment while shooting. I would recomend using something smaller and easy to get around with. Rated 5 out of 5 by Anonymous from Fig Rig Good to Go! I am using this product to mount my Canon 5D MKII for filing short clips of action sports. It is a really great durable design that has added a huge amount of stability to my filming. Being able to hold it at any angle is a huge plus. It is a bit large, not especially compact, so it makes it a bit cumbersome when packing it into locations. It might be nice to have some sort of collapsibility if it did not compromise the structural integrity or stability. Overall however, great buy. I highly recommend it. Is there a base plate available to place the rig on the ground flat? There is no base made for it. Depending on the weight you may be able to clamp it to a C-stand.